I have been working in the recruiting industry as a coach since 2004, but something happened in 2015 that completely changed how I worked, literally overnight. A digital marketing manager came to me as a client after failing to get a job. He had searched for a year and could barely get a call for a job interview. Before I started his job search campaign, I checked his LinkedIn.com profile to make sure it looked good. His LinkedIn profile was absolutely horrifying. The picture was a selfie that looked like a mugshot following a police interrogation. His profile had too much information that was irrelevant to his goals; his headline was meaningless; and he only had 24 connections. There was no way I could position someone that was supposed to be an expert in digital marketing with this repellent LinkedIn profile. My client was absolutely desperate for job. He was a nice guy and a good job candidate with a lot of related experience. I used to just give online profile tips, but I knew time was of the essence, and I needed to take control of his online image immediately. I got his logins for LinkedIn and other online job boards to re-align everything. Within 48 hours, he had over 300 LinkedIn connections and one job interview. 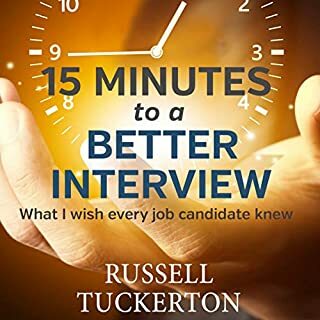 By the end of the week, he had four job interviews and had hit the 500+ connection mark and....he had not applied for a single job! Not one! All the job interviews he got were from his online profiles. This method is now the core of my career coaching practice. So what is the secret? It is just one phrase: keyword-stacking. Once you learn how to keyword-stack your profiles, you will have recruiters come straight to you. 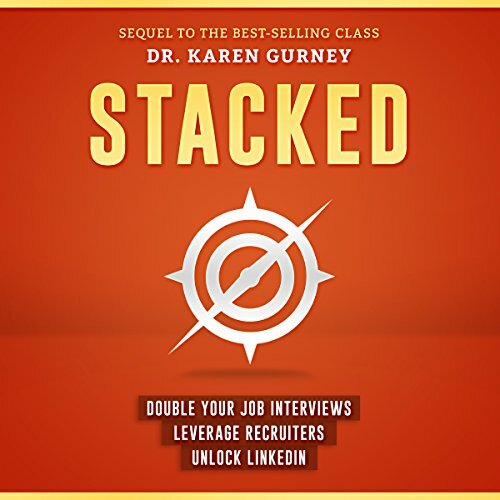 Stacked really opened my eyes to how finding a job has changed in recent years, There was good information about how to adjust your resume to match what employers are looking for and get noticed. 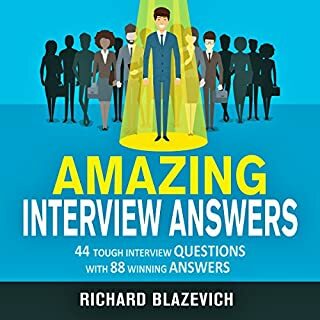 I also found the information about using your LinkedIn profile to maximum advantage a great help. 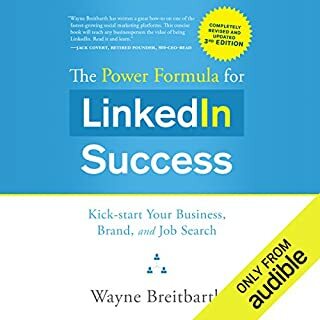 I had little experience with LinkedIn before listening to the audio book. I was able to navigate the various options much more easily with the author's suggestions. My only disappointment was that there were not more examples for technical resumes. I would have also liked more in depth information about tying in accomplishment stories on the resume. Effective Strategies, Five Hours are not wasted! 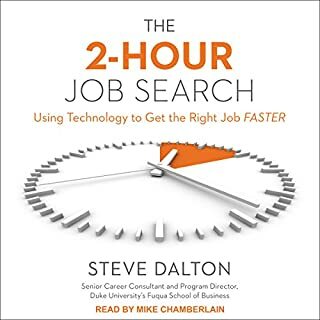 This is an excellent book, I would recommend not wasting any time or money on any other book, Dr. Karen Gurney does an excellent job giving you the information I need at what I like to call, "high-speed download speed." She gives you effective methods and provides the free course on Udemy as a visual aid that compliments the book nicely. 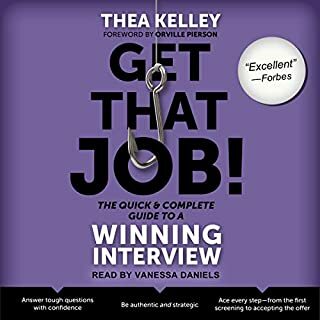 She is a fantastic narrator, easy to listen to, at times I had to rewind to capture everything she was teaching me in this book. Purchased another book that was 15 hours long, and after just under an hour, was an utter waste of my time. 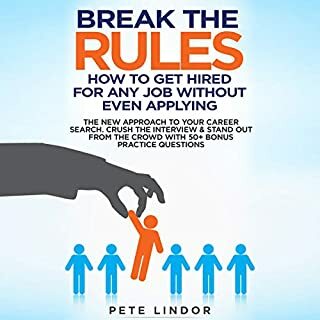 Strategies in this book are applicable to many scenarios, for me personally I am transitioning from 20 years of retail management into information systems, she has several effective strategies to make this as seamless as possible.